According to the US Department of Agriculture, there are approximately 25,000 varieties of tomatoes worldwide. They can be categorized into four main groups. These are the tomatoes you buy in the grocery store. They are globe-shaped and the right size for sandwiches. 'Early Girl' and 'Big Boy' are slicing tomatoes. They are also referred to as beefsteak tomatoes, but beefsteak refers to the size and shape of the tomato, not a specific variety of tomato. These tiny tomatoes are eaten fresh in salads or added to kabobs on the grill. They may also be used in stir-fries or halved and cooked on pizza. Many prefer to set a bowl of cherry tomatoes on the counter as a quick snack. Children tend to like cherry tomatoes. These tomatoes are meatier than slicing tomatoes. They include pear and other oval tomatoes, like 'Roma'. Because they contain fewer seeds and less juice they are used primarily for cooking. They may be added to salads, but typically are not used in sandwiches. 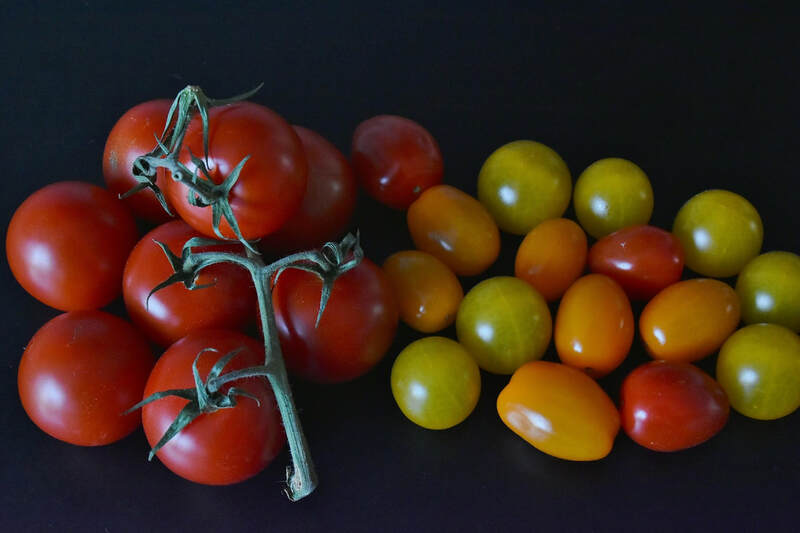 Heirloom tomatoes come in many sizes, shapes and colors. 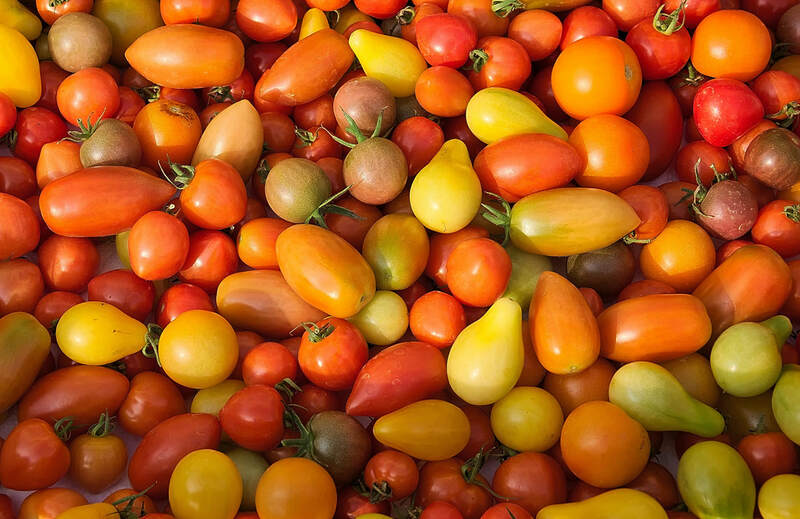 The term heirloom refers to tomatoes that have been passed down through the generations keeping the variety pure. 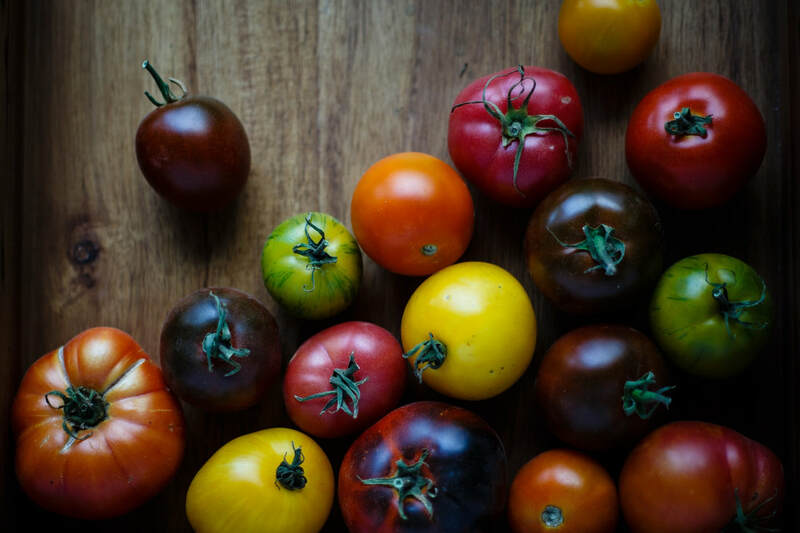 There are many varieties of Heirloom tomatoes. 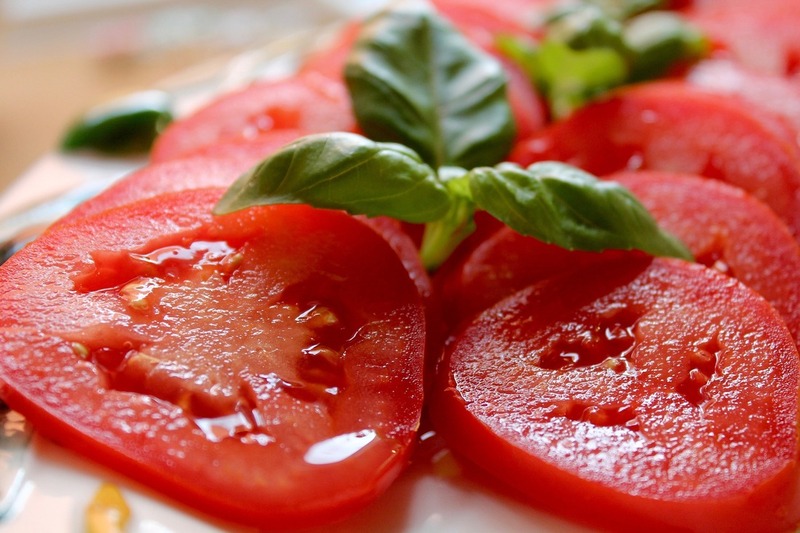 Heirloom tomatoes can be slicing tomatoes, cherry or grape tomatoes, or sauce and paste tomatoes. Determinate tomatoes grow to a predetermined height - usually 18 to 24 inches - and stop growing. They bloom and set fruit all at once. All the fruit from a determinate tomato plant ripens within a week or two. It does not produce more blooms or set more fruit. Determinate tomato plants do not require staking or caging. Indeterminate tomato plants continue to grow taller until they are killed by the frost in the fall. They produce new blooms and new tomatoes all summer. Tomatoes ripen over the course of several weeks. These plants need to be staked or caged as they will grow to heights of 6 feet or more during the summer.